While conducting an impressive body of research, and being responsive to the many who asked for advice, Fishman traveled extensively, encouraging the activities of those seeking to preserve endangered languages. He will be remembered by the Māoris of New Zealand, the Catalans and Basques of Spain, the Navajo and other Native Americans, the speakers of Quechua and Aymara in South America, and many other minority language groups for his warmth and encouragement. For a quarter-century, he wrote a column on Yiddish sociolinguistics in every issue of the quarterly Afn Shvel. 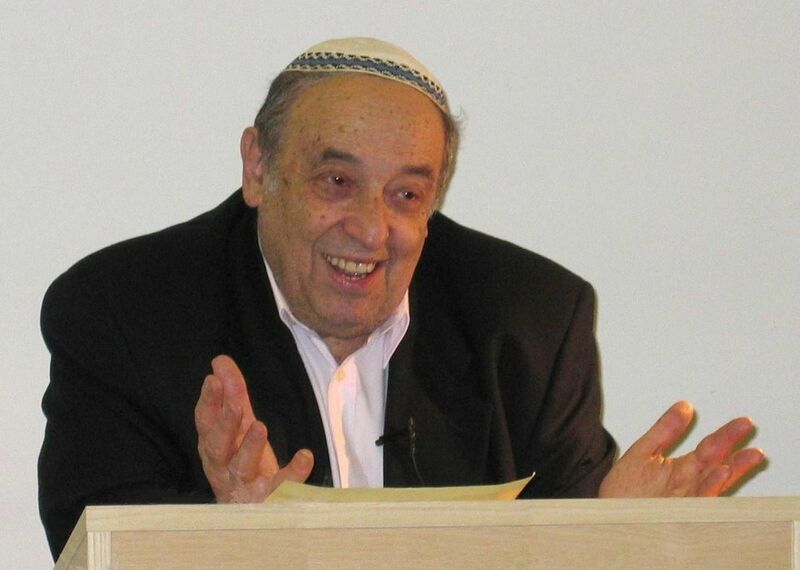 He also wrote regularly on Yiddish and general sociolinguistic topics for the weekly Forverts. Together with his wife Gella Fishman, he established the extensive five-generational “Fishman Family Archives” at Stanford University library. In 2004 he received the prestigious UNESCO Linguapax Award in Barcelona, Spain. He will be missed by all of us who met him, worked with him and by all who read his work and was influenced by his ideas. This entry was posted on 2 marzo 2015 at 9:50 am and is filed under sin categorizar. You can follow any responses to this entry through the RSS 2.0 feed. You can leave a response, or trackback from your own site.